An overview of the draft conference programme is available below. The tentative daily conference schedule will be available soon here. Information about the fees, the venue and accommodation can be found at the registration webpage. The 13th EWTEC is organised by Università degli Studi della Campania Luigi Vanvitelli and CONISMA (National Inter-University Consortium for Marine Sciences). Napoli. It’s a unique opportunity to reach 700 delegates from 35 countries! 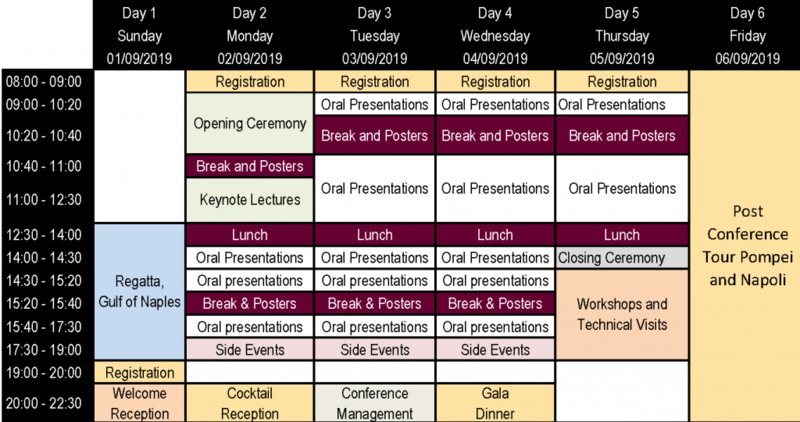 A number of exciting opportunities are now available for conference sponsorship, marketing and the EWTEC2019 exhibition. Find out how you can be involved in this prestigious European Wave and Tidal Energy 2019 conference event by downloading the EWTEC 2019 information package. Successful authors have been invited to submit their full paper for review. Instructions to authors of how and where to submit your full paper can be found in the link FOR AUTHORS. Any questions related to abstracts and paper processing should be addressed to ewtec2019@ewtec.org. Outstanding papers will be selected and considered for review and publication in the International Marine Energy Journal (IMEJ). 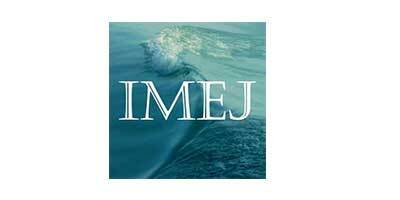 The IMEJ (ISSN 2631-5548) is the associated journal of the European Wave and Tidal Energy Conference. A list of suggested accommodation is available on the “Register to Attend” webpage. Please note: Naples has a lot of tourism in September. Please arrange your accommodation well in advance. Wave / tidal resource characterization. Wave / tidal device development and testing. Wave / tidal hydrodynamic modelling. Grid integration, PTO & control. Station keeping, moorings and foundations. Structural mechanics – materials, fatigue, loadings. Economical, social, legal and political aspects of ocean energy. EWTEC 2019 represents the 13th and the latest in the bi-annual scientific conference series of the European Wave and Tidal Energy (EWTEC) community, the first being in 1973. The conference will be held for the first time in Italy, at the beautiful city of Napoli. EWTEC 2019 will provide the needed platform and the meeting point between experts and world-class companies in the marine renewable energy sector. It will involve the participation of about 700 delegates from 35 different countries. This includes universities, research centres and industry active in the marine renewable energy sector. The conference will have facilities for exhibitors, workshops and side events and will present an exciting platform for the wave and tidal energy community to interact and network. As indicated above, Abstract submission opens from the 3rd of September 2018. A selection of the submitted papers will have the opportunity to be published in the International Marine Energy Journal (IMEJ). This will be the great event in Wave and Tidal Energy of 2019. Don’t miss it !